Seven-year-old Aminata finds her wooden school desk by feeling her way along the furniture in the room. Her teacher hands her a piece of paper with braille on it before writing the same information on the blackboard for the rest of the class. 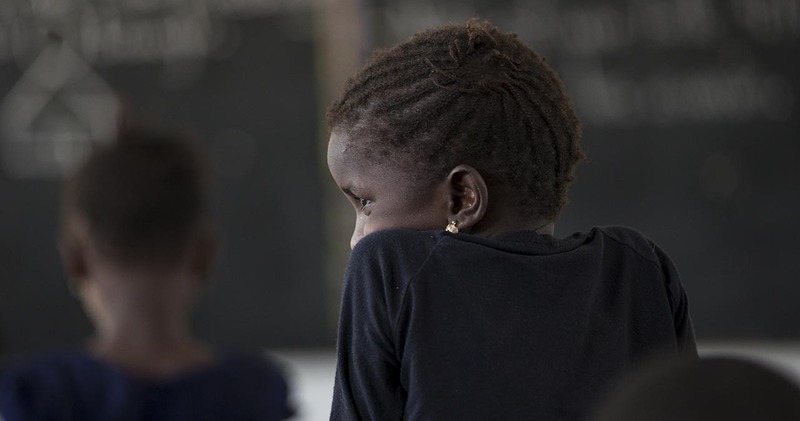 Aminata tilts her head back, hanging onto her teacher’s every word. She raises her hand to answer questions. She doesn’t let her disability get in the way – just like her classmates, she’s inquisitive, attentive and playful. Aminata was born blind, as were her parents and three of her siblings. Before attending the inclusive school in Senegal, she spent her days sitting at home while her parents went begging to support their family. She was too young to help with family chores or to go out by herself. Now, her day has structure and purpose. Each morning, she packs her blue braille board into a bag and is collected by a woman who walks her safely to school. There, she joins her friends in the same lessons. 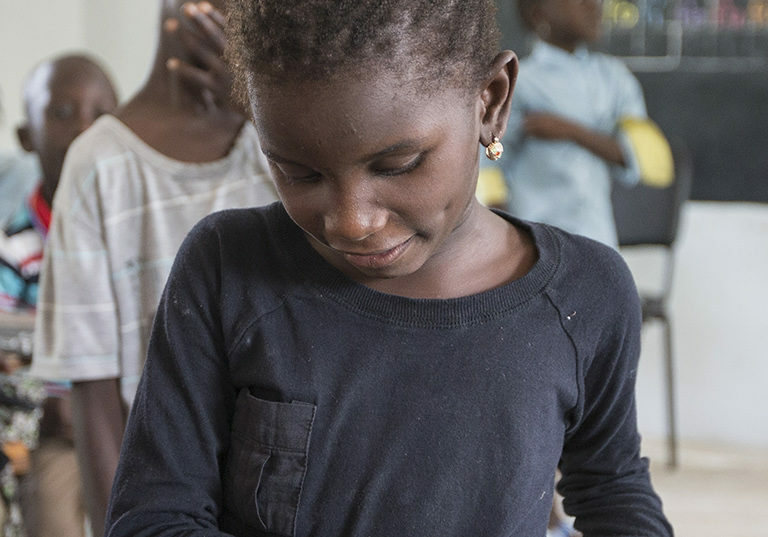 When the other children raise their chalkboards in the air for the teacher to check their work, Aminata does the same with her braille board, allowing her work to be assessed in the exact same way. Here, Aminata is no different, and that instils in her a huge sense of confidence and self-worth. I want to keep going to school – I want to be a teacher and teach French. French is my favourite subject. Aminata and her friend leaving school. It’s not always easy to show the journey from policy decision-making to real change in people’s lives. But Aminata’s story is a perfect example. Working with Sightsavers, the Senegalese government instigated the inclusive education project, trained the staff and enrolled the children. 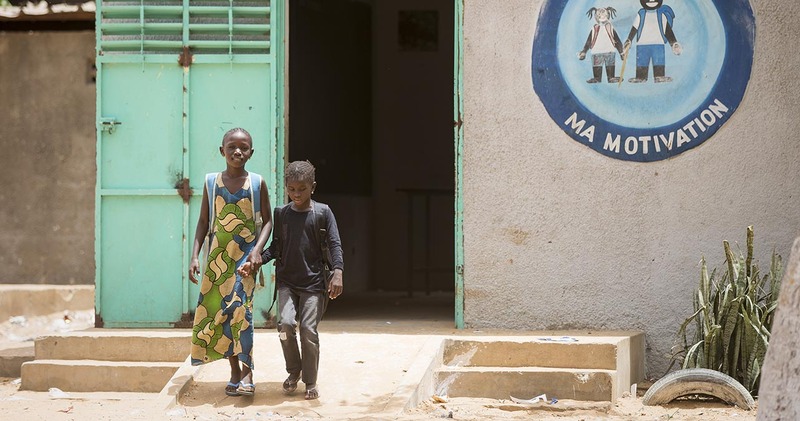 Aminata went from sitting at home all day to getting an education. When she’s finished schooling she’ll not only have the skills to live independently, but she’ll also be employable and able to contribute to the family finances. Her whole family will benefit. The difference in their financial situation will be significant, and the difference in their lives will be immeasurable. The stories of children like Aminata are what motivates us and drives our campaigning work. All children with disabilities deserve to access education, just like their peers. If you agree, sign up to Put Us in the Picture and help make it a reality.